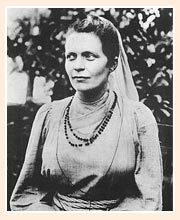 Margaret Elizabeth Noble (1867-1911) is popularly known as Sister Nivedita. She was an Anglo-Irish social worker, author, teacher and disciple of Swami Vivekananda. She was born in London and travelled to India in 1898. The name ‘Nivedita’ was given to her by Swami Vivekananda, on March 25, 1898. In November 1898 she started a school for girls, now called Ramakrishna Sarada Mission Sister Nivedita Girls' High School. In the Bengali community, Nivedita was a good friend of many intellectuals and artists. 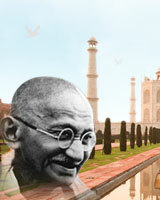 She worked hard to develop the lives of the women of all castes of India. 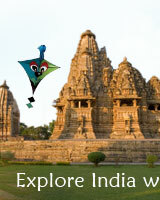 In later years, she took up the cause of Indian independence. She promoted pan-Indian nationalist views both in her public meetings and writings.